Finding tasty gluten-free restaurant dishes in London isn’t as hard as it used to be. But finding cheap gluten-free dishes is a different matter. Here are some of my recommendations. Whether you have Coeliac, a gluten sensitivity or you’re avoiding gluten for dietary reasons – that lifestyle can get pretty expensive. 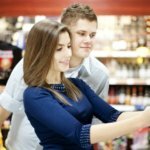 Gluten-free products in supermarkets cost way more than their wheat-based counterparts (in most cases), and the same goes for restaurants, where you’re often expected to add money for gluten-free versions of dishes. 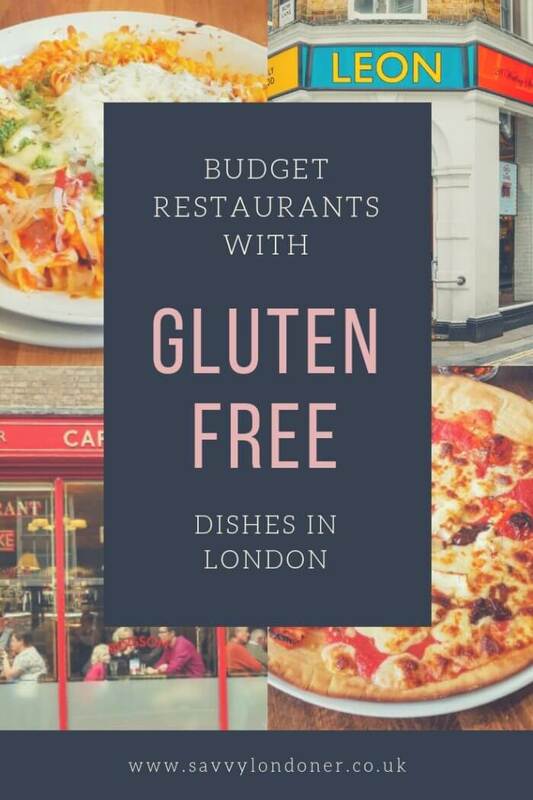 But if you know where to look – there ARE places in London where you can eat tasty gluten-free dishes without going broke. Note that some of these places are expensive if you just come off the street – but it’s extremely easy to get discount vouchers for them, which is why I’ve included them. 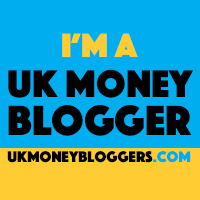 In this article, I went with the bigger chains, because they’re easy to find around London. 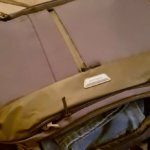 These are all places that I’ve been to myself – so can personally recommend. You’ll notice the big American fast food chains are absent – most of them, unfortunately, don’t cater to the Gluten Free audience. And neither do many of the British coffee/sandwich stops. Important Note: If you have Coeliac disease and you’re highly sensitive to even the smallest traces of gluten, most of these restaurants will NOT suit you, as they don’t have separate kitchens, so there’s always a risk of cross-contamination during food preparation. A Fast food chain that aims to serve fast, easy to eat – but healthier food. You can find various meat and chicken dishes, vegetarian and vegan options, and quite a lot of gluten-free dishes. (Not just dishes that naturally don’t have any gluten – but also ones that are specifically made gluten-free, like their Gluten Free Chicken Nuggets). 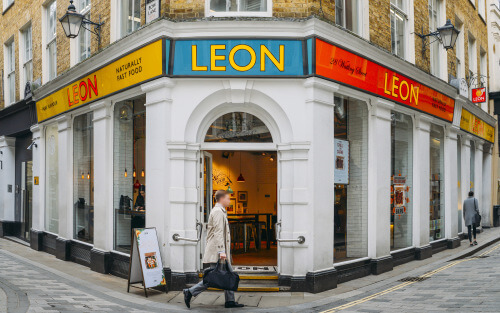 If you’re walking around central London, it’s quite easy to find a Leon restaurant – they even have a small place inside the London Bridge train station. Travel south of the river, though, and they won’t be as easy to find. These are fast food restaurants, so you order at the till and there are no waiters. You can sit in, or order your food to go – which is a plus because finding gluten-free options to take with you and eat on the go (or at the park) is often difficult. GFC is here. Gluten-free Chicken Nuggets, 100% British chicken thigh with your choice of sauce. When I went there, I personally liked their Gluten Free Chicken Nuggets, which taste and “feel” like “real” nuggets, though I didn’t particularly like their baked fries – but my husband really did, so it’s a matter of taste. My one disappointment – no GF buns for their burgers. They don’t usually offer discount vouchers and they’re not part of the major discount and 2-for-1 offers, but their regular every-day prices are quite decent – you can get a full meal with a side and a soft drink for around £8. A well-known Italian restaurant group that’s been around since 1965, with 470+ branches across the UK. On their own, their dishes are not cheap – but you can always find discount vouchers on their website, as well as a few other popular discount schemes. Italian restaurants are all-or-nothing kind of places for Gluten Free eaters – if they don’t offer specific Gluten Free versions of their dishes, what are you going to eat? Nothing more than a salad, perhaps. 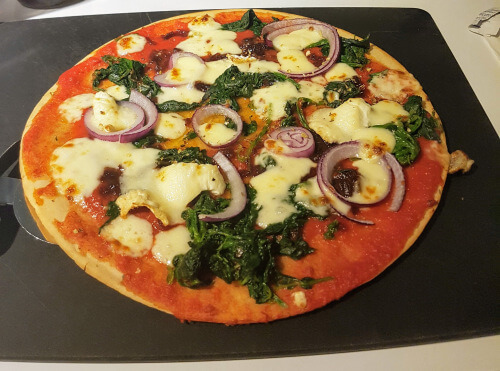 Luckily, though, PizzaExpress do offer dedicated Gluten-Free options – from starters (Gluten Free dough balls! Though they don’t taste like much) to most of their Classic Pizzas, and a few pasta dishes. Their pizzas are really good (they also have vegan options), and the Gluten Free base does its job of not getting in the way. And there are even some good dessert options (so you’re not stuck with just ice cream). 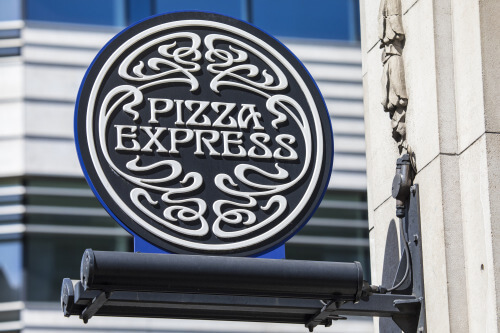 If you come in off the street, PizzaExpress is a bit expensive (£14-£15 for a pizza! ), HOWEVER, there are plenty of discount options: you can always find Special Offers on their own website, and you can also get 2for1 offers either via the Meerkat Meals scheme or the Tastecard membership. If you’re an O2 subscriber, you can often get a main course for £5 using the O2 Priorities app. Another popular Italian chain, with quite a few branches in London (mostly Central London though). Most (but not all) of their pizzas can be served on a Gluten-Free base, and some of their pasta dishes are GF. Using widely-available offers and discounts, the prices go down considerably. We go to Bella Italia often, because they have restaurants in several easy-to-reach spots around the West End, which is a plus for me. Their Gluten Free pasta is a bit bland (though they occasionally change their menu, so I haven’t tried some of the newer dishes), but the pizza is quite good. Most of their pizzas can be ordered as Gluten Free, but only some of the pasta dishes. They used to have a wonderful Gluten and Dairy free chocolate cake with cherry sauce – but have unfortunately removed it from their recent menu. Hopefully, it’ll be back – for now, the only GF dessert is a strawberry pannacotta. If you come in off the street, Bella Italia is not very cheap (£12-£13 for a pizza), HOWEVER, there are plenty of discount options: you can always find Special Offers on their own website, and you can also get 2for1 offers either via the Meerkat Meals scheme or the Tastecard membership. Additionally, if you’re a Three mobile customer, you can usually get £3-£5 mains via their Wuntu app. 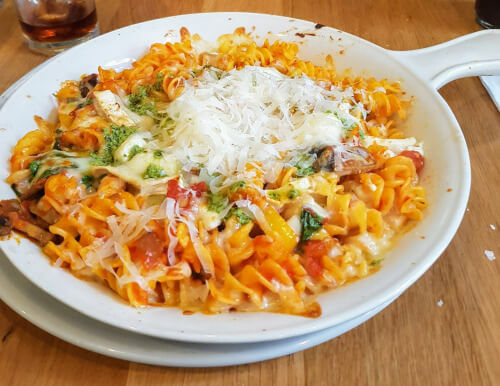 Yet another Italian chain with a decent menu full of Gluten-Free options, 12 restaurants around central London, and a mix of both discount vouchers and 2for1 offers through various schemes. Note that their online Gluten-Free menu is not always updated – the restaurants have a wider GF selection than what is shown on the website. The problem with Gluten Free pizza and pasta, is that it often tastes the same wherever you go. Thankfully, Prezzo’s pizzas and pasta have a bit of a unique taste – probably thanks to the toppings and cheese. Once you get inside, be sure to ask for the special Gluten Free menu. For some reason, their online menu doesn’t show all the GF options that the restaurants actually have – maybe it depends on the branch. But if you manage to get it, I especially recommend the Gluten Free Goat’s Cheese Penne Al Forno, which is oven baked with lots of cheese on top. 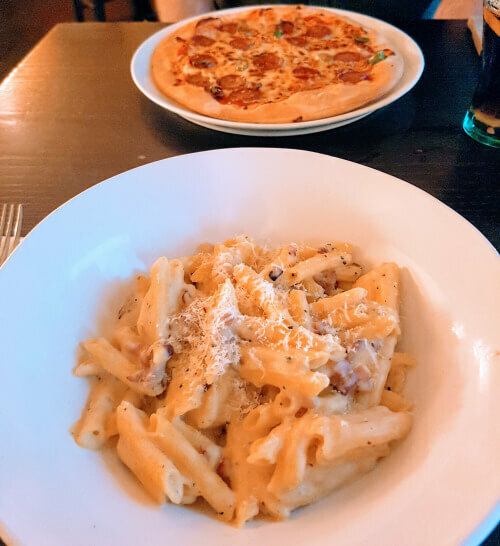 If you come in off the street, Prezzo is not cheap (£11-£14 for a pizza), HOWEVER, there are plenty of discount options: you can always find Special Offers on their own website, and you can also get 2for1 offers either via the Meerkat Meals scheme or the Tastecard membership. 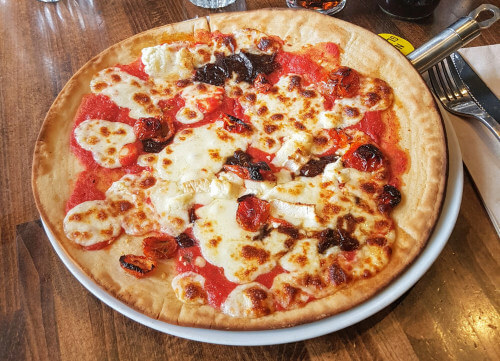 Gluten Free pizza can sometimes taste like cardboard – but I’m happy to say Zizzi’s GF pizza was excellent, second only to PizzaExpress in my book. They also have an interesting selection of Gluten Free pasta (including several vegan options), and a few dessert options (unlike some places that only offer ice cream if you’re GF). If you come in off the street, Zizzi’s prices are middle-of-the-road (£10-£14 for a pizza, and pasta for as low as £8.5), and there are plenty of discount options: you can always find Special Offers on their own website, and you can also get 2for1 offers either via the Meerkat Meals scheme or the Tastecard membership. A French food restaurant chain that thankfully has locations south of the river as well as in central London. They have an impressive variety of Gluten Free dishes, and surprisingly tasty bread alternatives. If you’re in the mood for some meat-based meals (though they do have a couple of vegan options as well), Café Rouge has an interesting selection based on chicken, beef and fish. The Gluten Free alternatives include burgers (both beef and chicken) with GF buns, an omelette that comes with a tasty Gluten Free toast, and even a GF classic baguette. Sadly, their Frites (chips) are NOT GF, which is a bit of a disappointment when you eat a burger. Plus, I was told you can’t order a medium-well burger, as it comes “as the chef prepares it” – which was super-well-done-to-the-point-of-burnt for me. 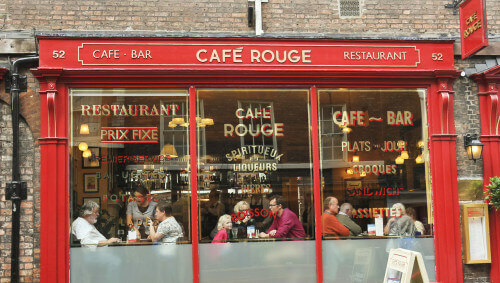 Café Rouge’s everyday prices are not particularly cheap (£13 for a burger), but there are plenty of discount options: you can always find Special Offers on their own website, and 2for1 offers either via the Meerkat Meals scheme or the Tastecard membership. Additionally, if you’re a Three mobile customer, you can usually get £3-£5 mains via their Wuntu app. A British burgers chain of restaurants, they have several locations around London (most are pretty small). 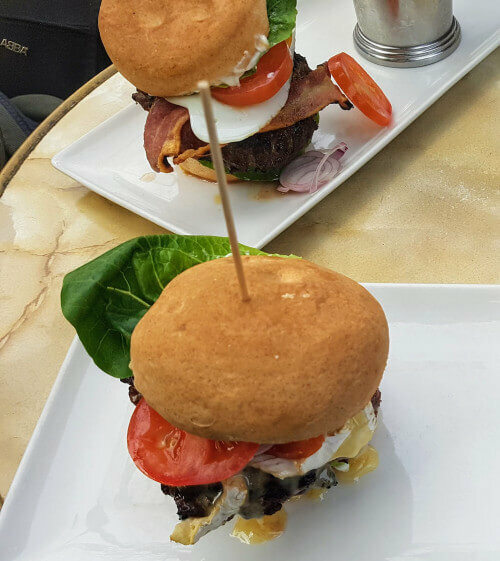 I was hesitant whether to include them here, because they’re not very cheap and they rarely offer any discounts – but their Gluten Free menu – and their food – is wonderful, so I gave in. 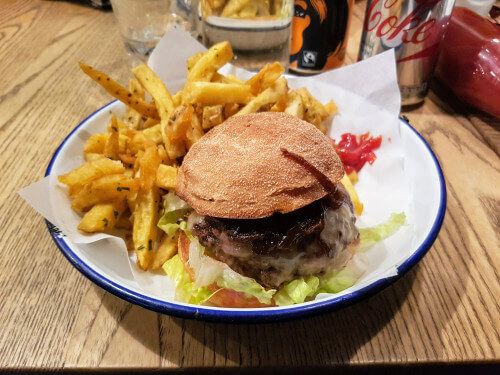 Gluten Free burgers are not always easy to find in London, unfortunately. Sure, the burger itself is Gluten Free (well, in most cases) – but what’s the point of eating a burger in a restaurant without the bun? So while some places (“Five Guys”, I’m looking at you) cheerfully say their “Gluten Free” option is to take the burger bunless – “Honest Burgers” have an excellent Gluten Free bun that goes along with their great burgers. And even better than their burgers are their Rosemary Salted Chips, which are truly unique. Plus, almost all the dishes have a GF version – and they even have Gluten Free “beer”. As for the prices… they’re NOT very cheap – you’ll get a burger for £9-12 (Keep in mind – they take an extra £1 for the GF bun), and they very rarely offer vouchers or special promotions. However, the price is still decent for what you get, so it can be an occasional treat.